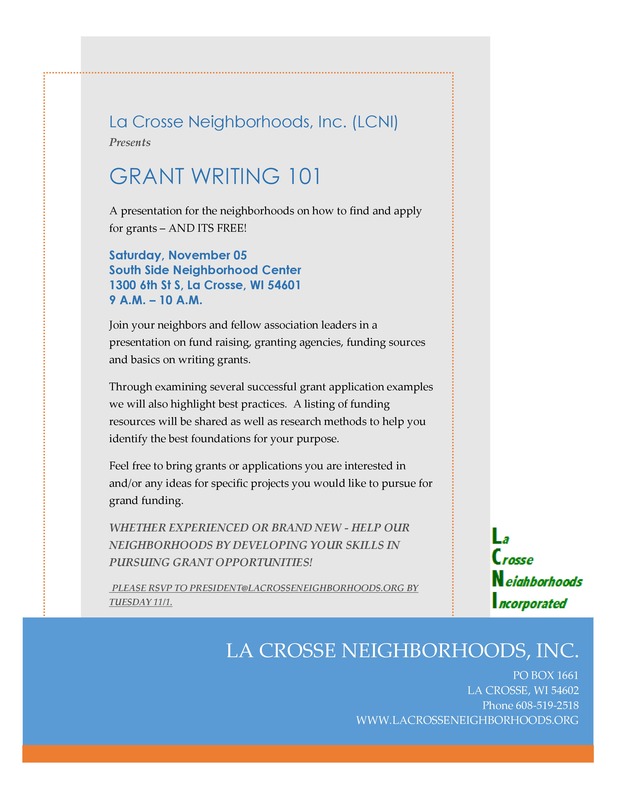 Grant Writing 101 Workshop – FREE TO THE PUBLIC! 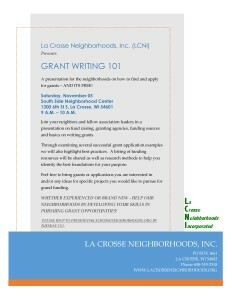 A presentation for the neighborhoods on how to find and apply for grants – AND ITS FREE! Join your neighbors and fellow association leaders in a presentation on fund raising, granting agencies, funding sources and basics on writing grants. Through examining several successful grant application examples we will also highlight best practices. A listing of funding resources will be shared as well as research methods to help you identify the best foundations for your purpose. Feel free to bring grants or applications you are interested in and/or any ideas for specific projects you would like to pursue for grand funding. 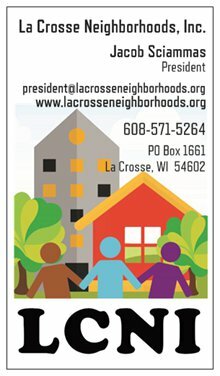 WHETHER EXPERIENCED OR BRAND NEW – HELP OUR NEIGHBORHOODS BY DEVELOPING YOUR SKILLS IN PURSUING GRANT OPPORTUNITIES!